OUR PRICE: $78.80 - Join Rewards Get $7 Dance Dollars On This Item! 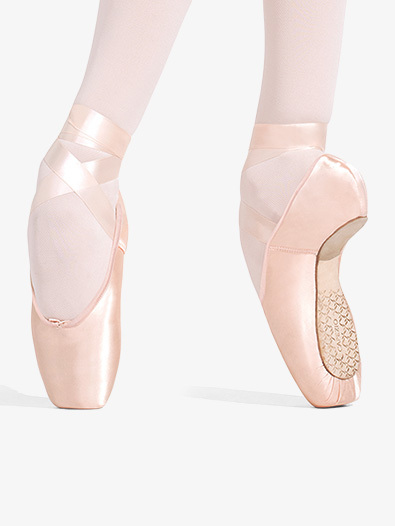 Finally, a pointe shoe that is designed to look beautiful on the foot and has all the support you need. 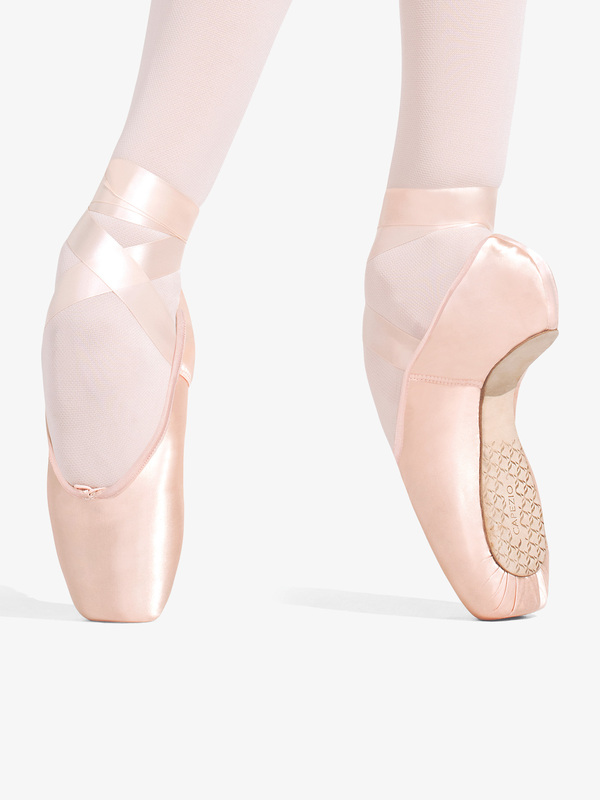 The "Developpe" features a #5 leather board shank that is half skived to zero, a moderate shape feathered toe box, a round shape throat, a medium vamp with low sides, and a wide, high platform. Shoe also features quiet toe construction, a hand-flattened crown, and a plush, anti-slip lining. Elastic and ribbons sold separately.